Last weekend Pete and I visited Orange to enjoy the final weekend of Orange's annual F.O.O.D Week. 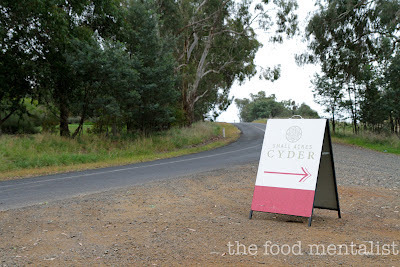 During our visit, we visited Small Acres Cyder, on the foothills of Mount Canobolas. Owned and run by husband and wife duo Gail and James Kendell, Small Acres is the first and sole producer of locally grown and made cider in Central Western NSW. 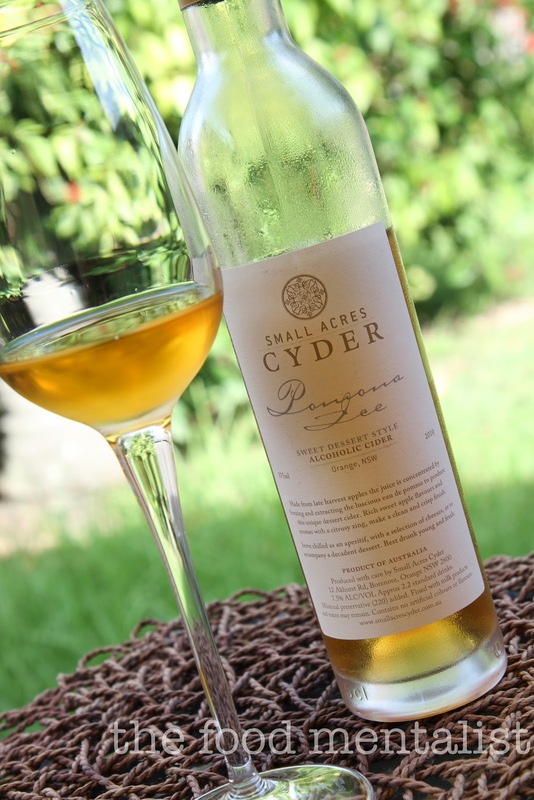 Today I would like to introduce you all to a real treat - Pomona Ice by Small Acres Cyder. This one is truly unique and incredibly indulgent. It's golden honeyed hue gives evidence to the production of late harvest apples, where the juice is concentrated by freezing and then extracting the rich apple flavours. Wonderfully smooth, this cider displays luscious sweet apple flavours balanced by a citrus like acidity. 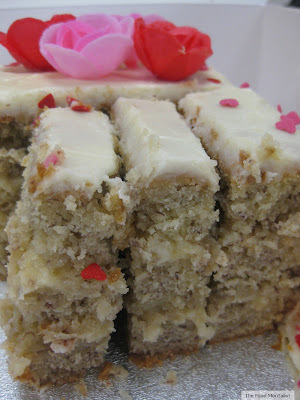 It has a clean crisp finish and its decadence is sure to impress. 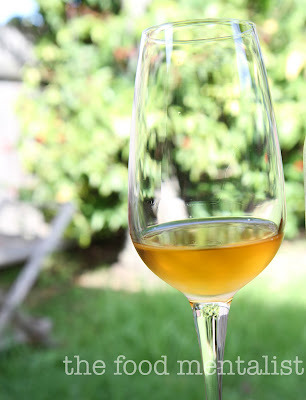 This non-sparkling cider product has a similar style to a dessert wine and is best served icy cold as an aperitif, with a rich dessert or alongside a cheese platter. 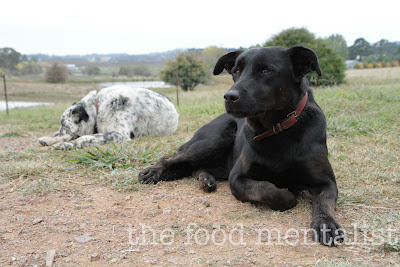 Cider dogs! 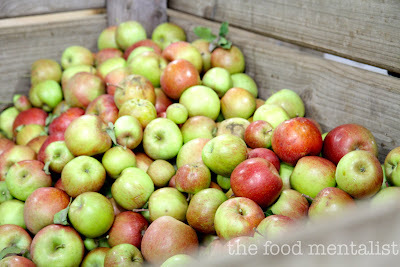 both of these beauties are named after the cider apple varieties: Sweet Coppin & Cox's Orange Pippin. Coppin is a real poser and an adorable addition to the property. 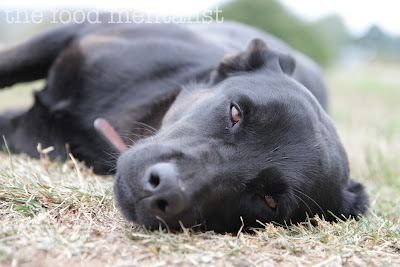 Pippin is a little more reserved but equally adorable. 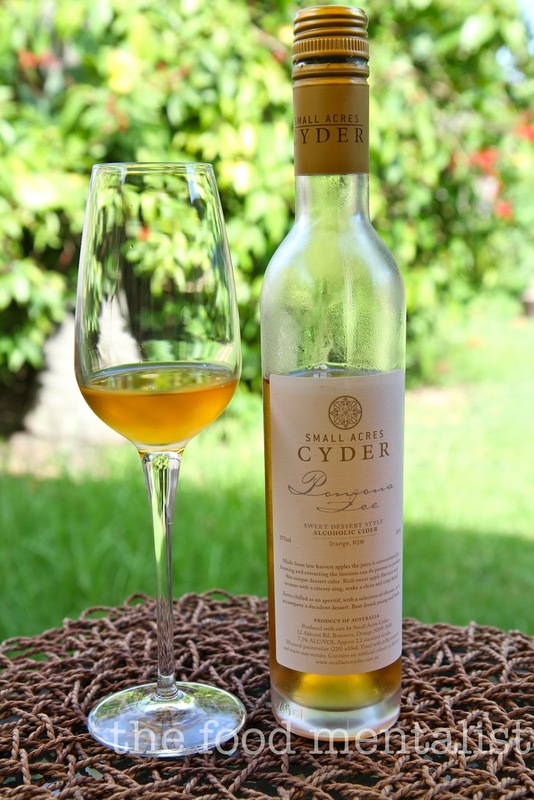 This quality Australian cider product is exudes sophistication and you really must try it. At 7.5% a 375ml bottle will provide you with 2.2 standard drinks. I feel just like Coppin right now. That's me. What a fun visit. I can't wait to try this "cyder"
I love chilled apple cider! always great on a relaxing afternoon! 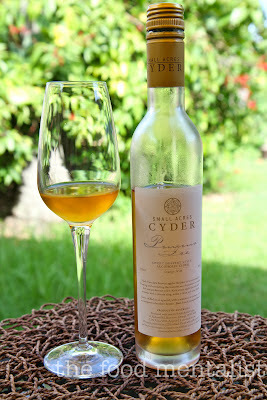 Ooh I love cider and I love dessert wine, this could be the perfect combo! Orange has really changed over the past 10 year- it has really developed into a foodie heaven! Wow. A dessert-wine-type-cider? That sounds like something I would really like. Isn't Orange fun? I love heading up there for long weekends. SarahKate - I too love Orange it is fun. What are some of your favourite places to visit there?